I think the most important flower for any garden to have is the first one to bloom each spring. And the earlier it can do that for me, the better. I am a woman who can barely tolerate winter and by February I just about lose my mind. So having some perky little crocuses appear in March is akin to having the heavens part and a choir of angels sing. 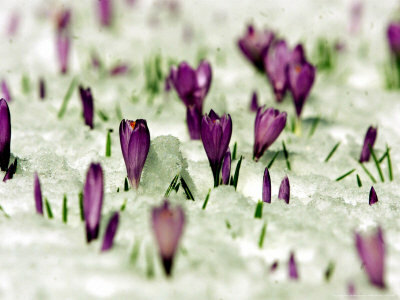 You'd better believe that if I live where there's winter, I will always have crocuses planted.